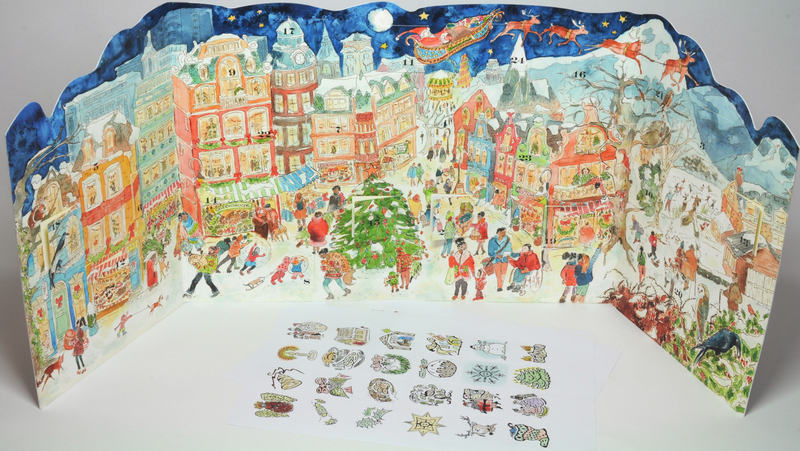 The season of Advent is upon us and we’re already impatient to open the first door on our advent calendar. As you might expect, it’s a calendar with a twist – an Artcodes twist to be precise. 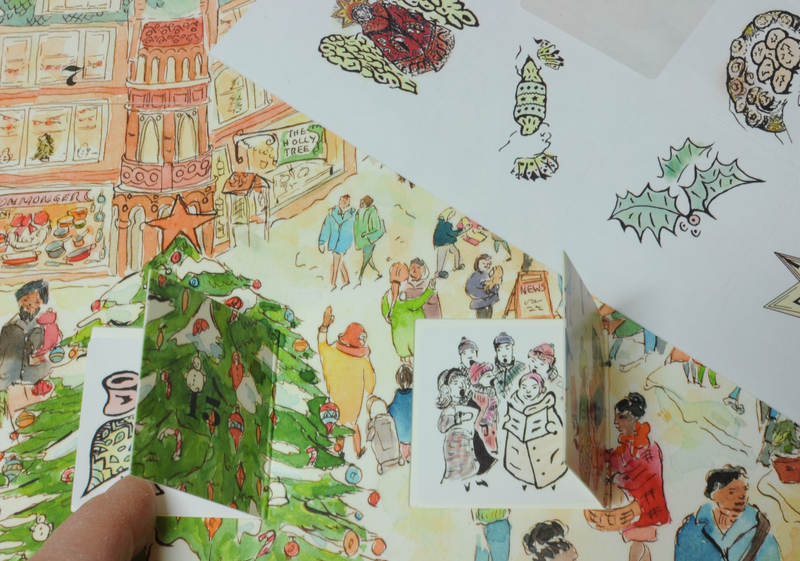 Beautifully designed and illustrated by artist Alice Angus from Proboscis, our calendar comes with twenty-four stickers that can be hidden under its doors. Like the Celtic knots on Carolan’s body, each of these is an Artcode that can be scanned using a phone or tablet to reveal a digital surprise. While the calendar already comes preloaded with twenty four digital surprises, the real excitement is that you can change these to hide your own digital presents – photos, videos, websites – under the doors and then share these with others. So you get to create your own personal layer of Christmas goodies to gift to family, friends or anyone else who has their own calendar (or shares yours). Carolan has created its own layer of Christmas surprises, twenty four memories of friends playing songs and tunes, chosen from our library of videos that we’ve captured over the past two years. There’s Nick playing Carolan’s first ever song, Lulo Reinhardt, Remi Harris, Tim Edey, Steve Hicks and many more, as well as an obligatory Christmas Carol. 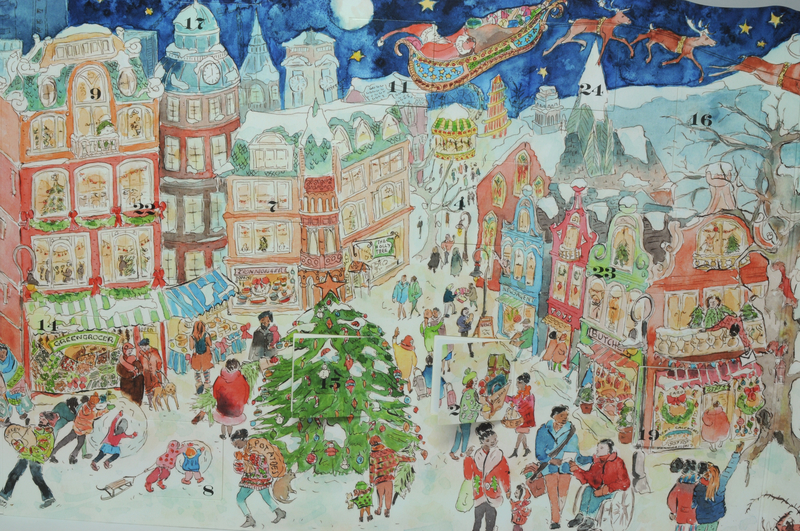 If you already have a Christmas with Artcodes calendar then just select this link to view Carolan’s surprises as you scan it. If you don’t already have a calendar – but would like one – then they are available on Etsy. As the calendar uses Artcodes, it is also possible to draw you own stickers with your own designs. Luckily, Carolan already has some to hand from back in Post 44 . I guess you could even throw the Calendar away and make other kinds of interactive Christmas stuff such as cards, decorations and place settings. So there you have it, a simple paper advent calendar turns out to be a customisabale and ultimately de- and re-constructable digitally layered product. What begins with putting stickers on a piece of cardboard moves onto creating and sharing personal digital content and ultimately to replacing the calendar with other physical products. We wonder what other kinds of layered product there might be? 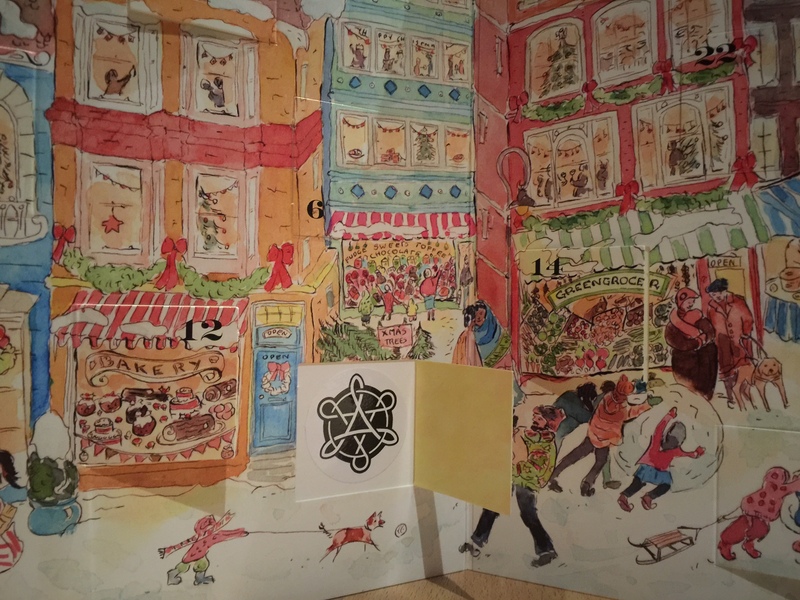 The Christmas With Artcodes advent calendar is a project by Artcodes, Mixed Reality Lab, Horizon DER and Proboscis designed and illustrated by Alice Angus.